Lec grew up in Chicago and moved to north-east few years back. He has a background in Engineering and is University of Chicago alum. Lec was introduced to wind surfing by his father at early age, yet continued mostly with power craft. He always has been very active and athletic. Most recently Lec took up surfing and is beginning to learn kite surfing. Few years ago Lec was introduced to sailing by his friends, joined Yale Corinthian Yacht Club, and is racing 420s, sometimes single-handed. This season Lec began with Spring Classics and March 40’s, improving his skill on fordeck with kite and in the pit. Lec is committed to furthering his skills as part of the Oakcliff offshore program to join in long haul races. 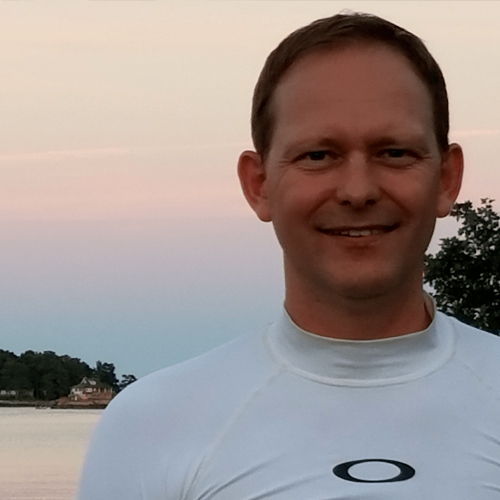 He just completed safety at sea and has goals to participate in further endurance racing. When time allows, Lec enjoys travel and island hopping.